Good morning everyone and welcome to another fabulous Tuesday. My journey so far into 80/10/10 LFHC High Raw Veganism has been a good one. This month (whats left of it) will be focusing on eating fruits only for snacks and desserts. So far mission accomplished. It’s actually really easy to do and the water from the fruit keeps you satisfied. Of course what would a post from me be without at least one recipe. Summer is almost over so let’s enjoy refreshing juices while the hot weather permits. 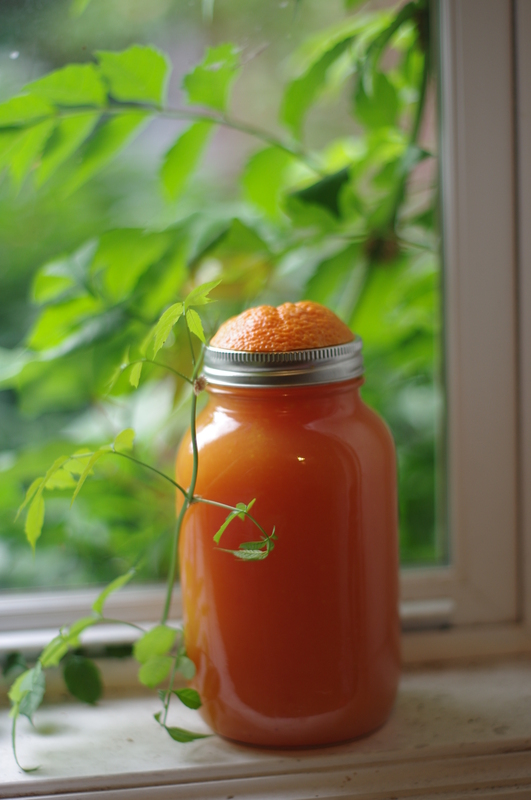 This morning I made fresh juiced orange blossom juice. Highly recommended to make and take with you for a mid morning snack or appetizer to lunch. 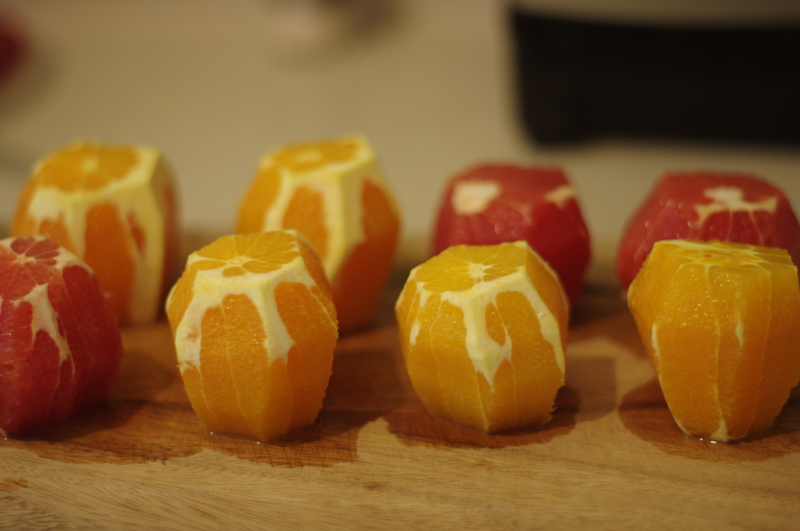 Slice all fruits so they will fit in your juicer. Juice and serve. If you are taking your juice for later, make sure you fill your container (mason jar in my case) to the VERY TOP. 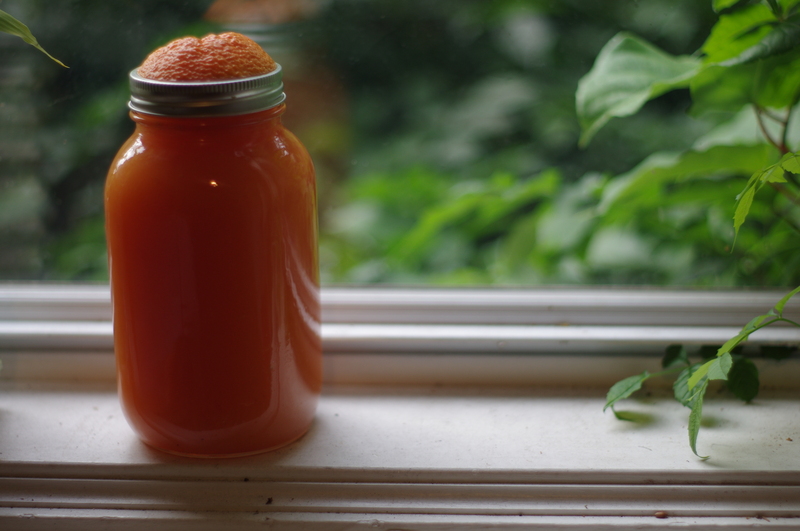 This will prevent oxidation and keep your juice fresh.